New Forest Pony Breeders and Stallions Directory - O Horse! Breeders, importer, training, and stud service. 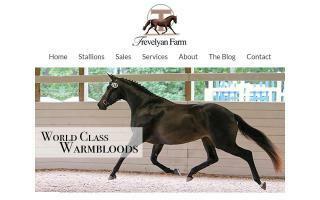 Home of champion Friesian horses. We stand one of the highest awarded Friesian stallions in the history of the breed in dressage. We own and bred the 2007-2008 National Champion fillies. Specialize in the breeding of New Forest Sport Ponies. Breeders of pure & part bred New Forest Ponies. Stallions at stud. Youngstock For sale. Situated in Tatura, Victoria, Australia.